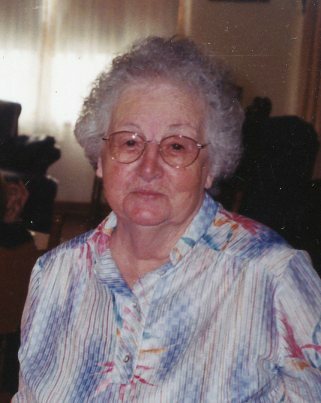 Eddie Sue Vandiver, age 97, of Lawrenceburg, TN passed away Saturday, January 19, 2019 at her residence. She was a native of Lawrenceburg, TN, a homemaker, and a member of Pea Ridge Church Of Christ. She was preceded in death by her parents, James Edward and Ona Dean Johns Moore; her husband, Coleman Vandiver; one son, Ronnie Vandiver; two brothers, Rayford Moore and J. W. Moore; and one sister, Waymon Vandiver. Arrangements are being handled by Neal Funeral Home, 231 N. Military Avenue, Lawrenceburg, Tennessee. The family will receive friends from 5:00 PM to 8:00 PM Sunday, January 20, 2019 at Neal Funeral Home. Funeral services will be conducted at Neal Funeral Home at 11:00 AM Monday, January 21, 2019, with Dan Buie and Doug Payne officiating. Interment will follow at Houser Cemetery in Lawrence County, TN. Family suggests memorials be made to Pea Ridge Church of Christ.